My new rheumy -- so far, very pleased -- agreed that nausea caused by Plaquenil doesn't help me. I didn't even have to explain it, he told me to stop taking them right away and to increase my MTX. This means I need to get new pre-pared syringes. This makes the MTX basically the only 'real' medication I still take, apart from the occasional naproxen or paracetamol (Tylenol). 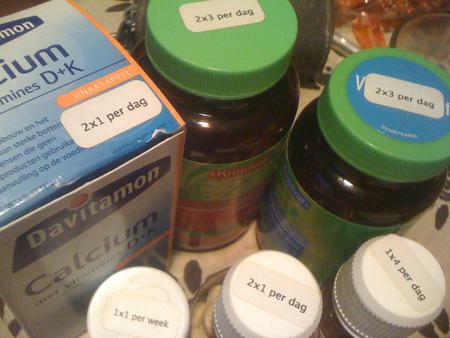 I do take a decent load of vitamins in a medicinal way, not taking them causes plenty of issues, and they may interact with each-other / other meds so I always count them as medication. My last blood-test showed a deficiency of vitamin D, ferritine, low B12. Still waiting for the vitamin B1.